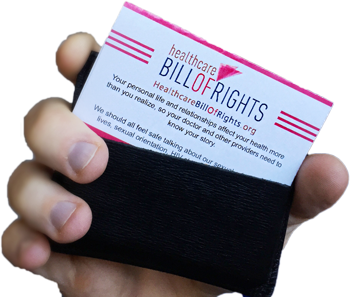 Healthcare Bill of Rights - know your LGBT healthcare rights with doctors, hospitals, etc. What Is the Healthcare Bill Of Rights? What rights do LGBT people have right now when you go see a healthcare provider? Do hospitals prohibit discrimination based on sexual orientation and gender identity? Can you get help designating someone to make health decisions if you can’t? Find out these and more answers in The Healthcare Bill of Rights. 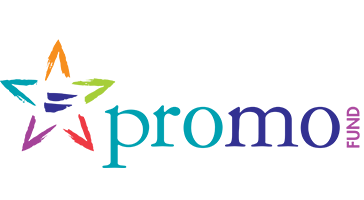 LGBT people suffer from stigma related health issues like smoking or mental health problems. When we fear a chilly welcome we avoid doctors, which means we also don't get well-person care like cancer screenings. 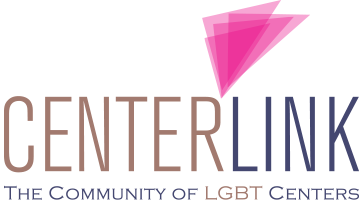 The first step in breaking this chain is getting LGBT people in regular healthcare; this tool can help you be confident of your rights. Put a copy in your pocket and be ready to stand up next time your rights aren't respected. Download a copy of the complete Bill of Rights or grab a wallet-size version and share it with all of your friends. 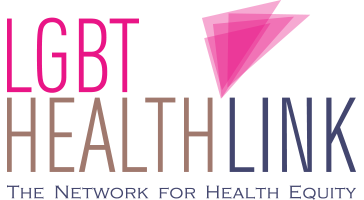 Learn how to get help including finding an inclusive healthcare provider, filing a complaint, and more. Learn more about the Bill of Rights and the organizations that make this available to you. Many organizations have teamed-up with us to share this important information. Meet our partners here.